Palestinian poet, translator and scholar Suheil Badi Bushrui has passed away in Yellow Springs, Ohio, at the age of 85. 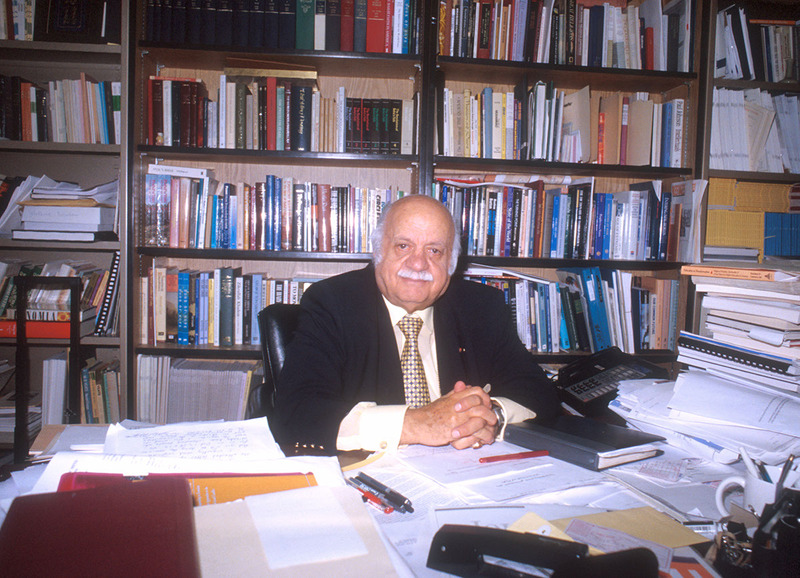 Professor Bushrui was the founder and current Director of UM’s Kahlil Gibran Research and Studies Project and the first holder of the Bahá’í Chair for World Peace. He published and edited many works, including the first annotated edition of Gibran’s The Prophet (1995); The Ethical Dimensions of Science, Art, Religion, and Politics (1996, co-edited with Miles Bradbury), The Spiritual Heritage of the Human Race: An Introduction to the World’s Religions (with Mehrdad Massoudi), and his latest, Desert Songs of the Night: 1500 Years of Arab Literature (Saqi Books, 2015), edited with James Malarkey. Professor Bushrui’s contributions to the fields of literature and education in the Arabic and English-speaking worlds were distinctive. He penned a vast number of books and scholarly articles on themes that ranged from literature to religion to world order. He was one of the world’s foremost scholars of Arabic and English literature and the first non-Westerner to be appointed as chair of the International Association of the Study of Irish Literature. Suheil Bushrui Profile: Honors College, University of Maryland from University of Maryland on Vimeo. Here Bushrui speaks about Gibran as doubly estranged, in exile and as a stranger in his own country. BUSHRUI on Gibran from Elucidate Pictures on Vimeo.